CFF Maestricht is a highly personal script font, custom made from the handwriting of Maastricht-based film producer Jean-Paul Toonen. His handwriting is very dynamic, artistic and a tasteful blend between roman and italic style. Perfect for elegant and beautiful artwork. CFF Maestricht is our joint gift to the beautiful city Maastricht. Under construction. Images of the available features will be added soon. This Type Specimen is an addition to the basic information on the CFF Maestricht minisite. 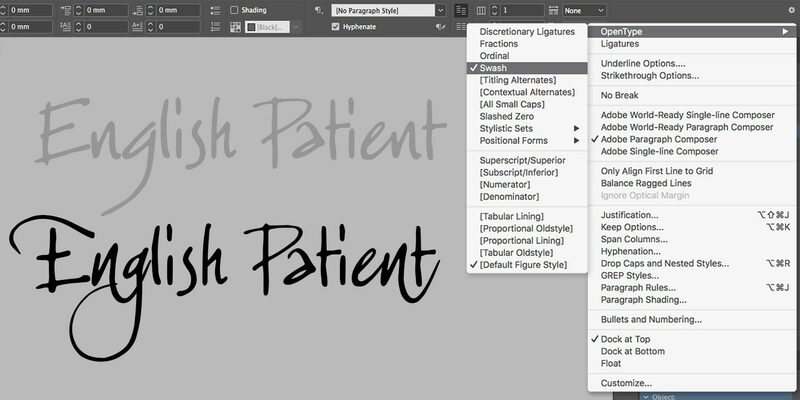 It contains detailed information about all the features available in this font, and instructions on how to use them. Be aware: some features need to be activated per paragraph or even per letter to get the result you want. 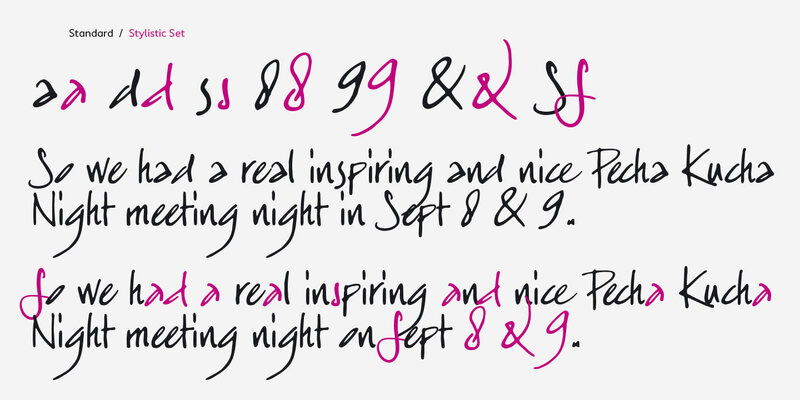 Some features are turned on global, like the Discretionary Ligatures or the Stylistic Set. Not all features work in Office applications. They are available in all graphic software like Adobe Creative Cloud. 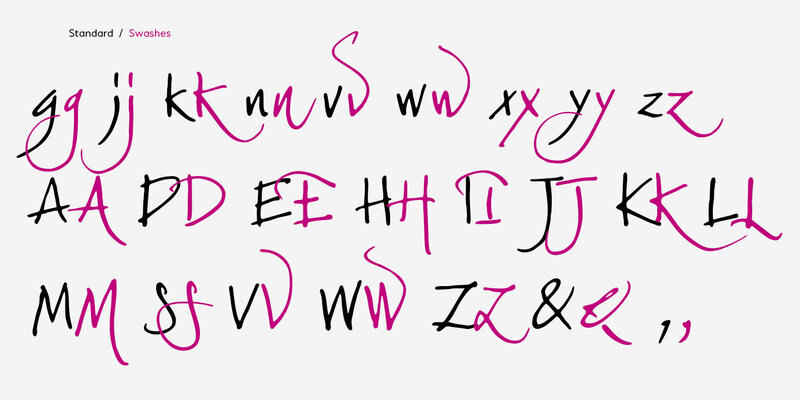 Swashes are mostly flamboyant versions of the normal alphabet letters. They are often decorative. The swashes in this font represent Jean-Paul’s handwriting best. CFF Maestricht has a full set of Old Style Figures, also known as non-lining, lowercase, hanging, or text figures, have varying heights and alignments. CFF Maestricht has a small set of Initials, which are variations that work at the beginning of words. Sometimes they look like swashes. CFF Maestricht has a small set of Finals, which are variations that work at the end of words. Sometimes they look like swashes. We are working on CFF Trial Fonts that would make it even more practical for you to play around with before you buy. You can buy CFF Maestricht here, or from one of our resellers that you like best.